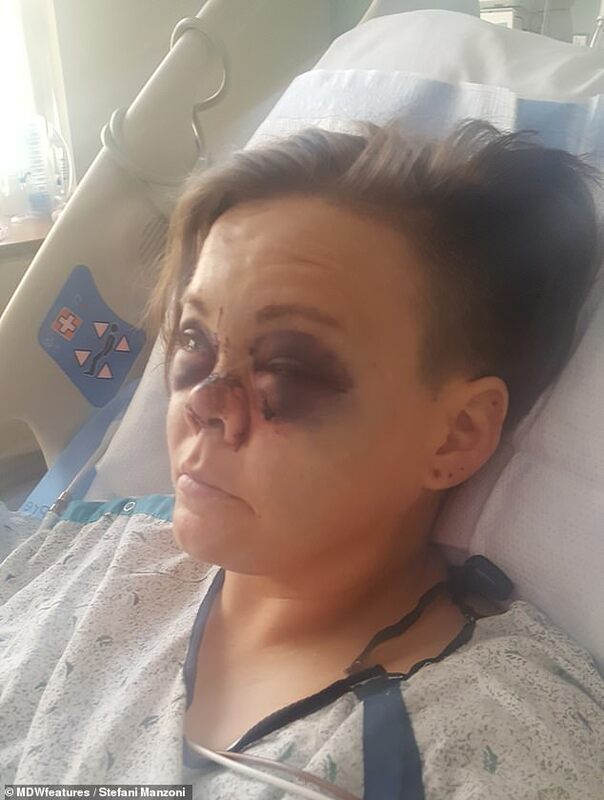 A woman has told of how her nose was pushed two inches into her skull after she crashed her car into a tree during a seizure. 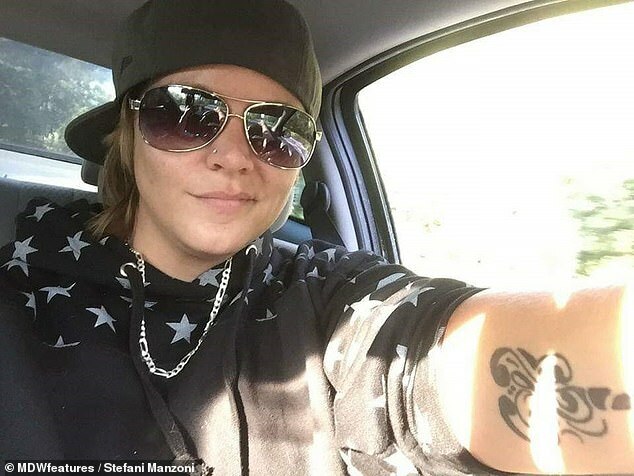 Stefani Manzoni, a 27-year-old former postal worker from Pennsylvania, was driving home after a long shift when she began feeling nauseous. She felt delirious and confused about where she was and completely blacked out, while her mother was on the phone through Bluetooth. 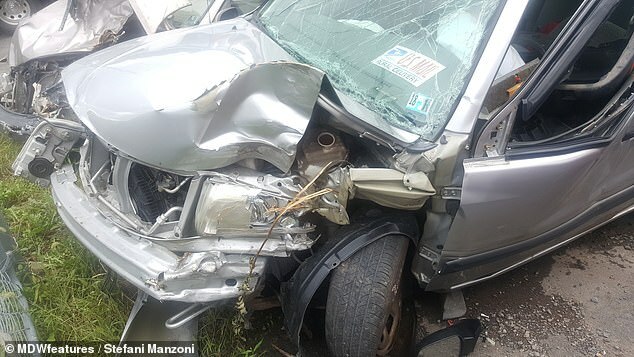 Mrs Manzoni then suffered a seizure which allegedly affected her thinking, causing her to drive up an embankment, which triggered her airbag. 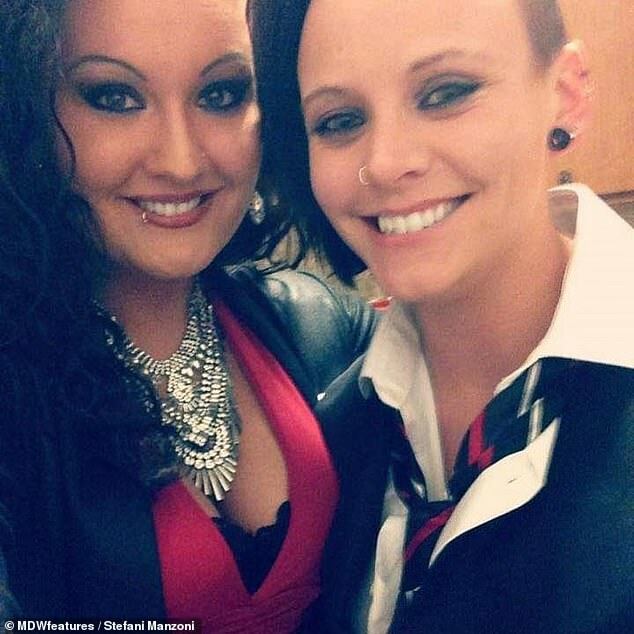 And she claims it made her perform a 90 degree turn across the highway, where she crashed into a tree and her face smashed into the steering wheel. Mrs Manzoni’s eye sockets and nose were shattered by the accident, which also broke her arm in two places and fractured her skull. She was told that if her nose was pushed just a millimetre further into her skull, she could have died. Surgeons managed to repair her nose in a gruelling 11-hour procedure, though she has more reconstruction operations scheduled. 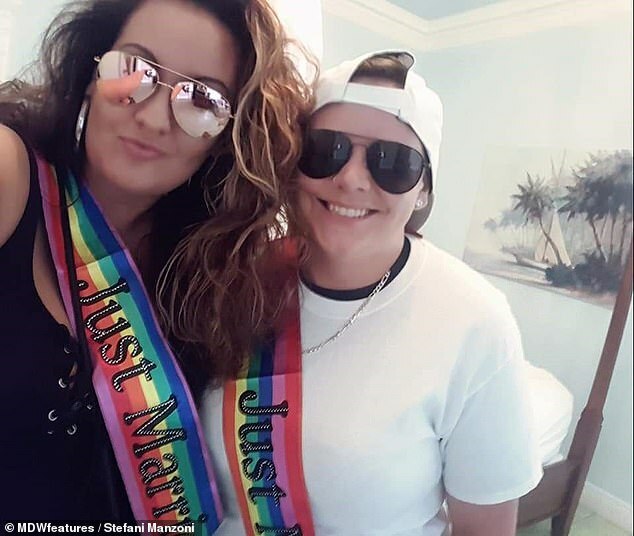 Doctors have yet to find what caused the seizure which triggered her accident in August 2018, and it is unknown what type of seizure she had, or if she had epilepsy. The Mayo Clinic states seizures can cause temporary confusion, as well as uncontrollable jerking movements and loss of consciousness. Despite the accident being caused by an unexplained seizure, Mrs Manzoni has been charged with ‘reckless driving’ and making an illegal turn. She said: ‘I was driving home from work, talking to my mum on Bluetooth. I don’t remember anything after leaving the parking lot at work. ‘My mum told me that I kept complaining of feeling nauseous and sounding delirious. ‘I remember pulling over to the side of the highway to throw up, where I unbuckled my seat belt, to just lean outside of the car. She added: ‘The rest is a complete black out. My mum, still on Bluetooth, told me I started driving home again and she begged me to pull over. A seizure is a sudden, uncontrolled electrical disturbance in the brain. It can last from a matter of seconds to a couple of minutes. It can cause changes in your behavior, movements or feelings, and in levels of consciousness. Seizures can happen after a stroke, a closed head injury, an infection such as meningitis or another illness. Many times the cause is unknown. 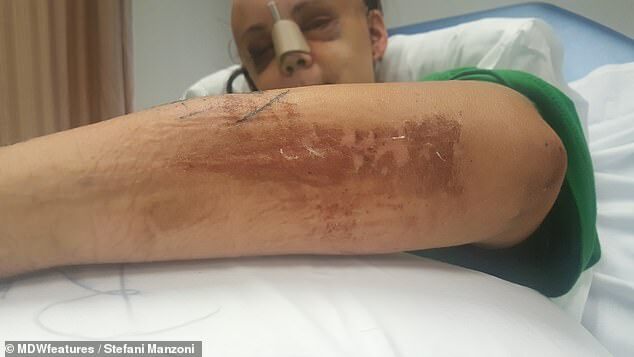 Her car’s airbag was already deflated when she went up the embankment, meaning her face went straight into the steering wheel when she hit the tree. 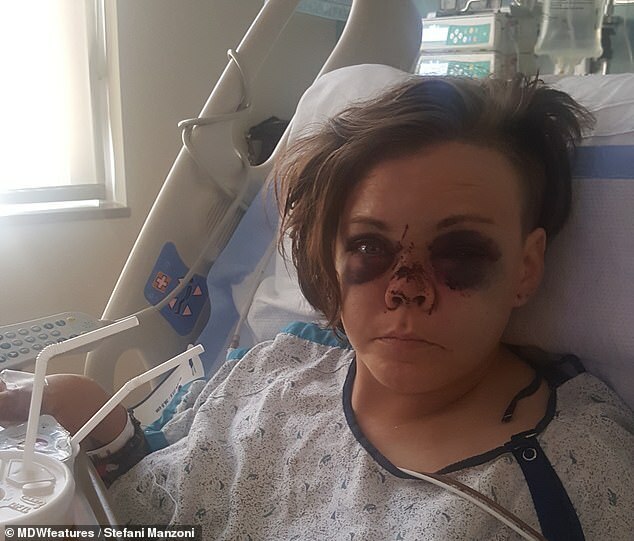 A male bystander told her to sit down, though she was delirious and allegedly told him that she had been punched in the face. Another witness came to the scene to help her, who Mrs Manzoni has described as her ‘guardian angel’ for keeping her calm. When she arrived in hospital, medics began cutting her out of her clothes and she started to panic as it dawned on her that she couldn’t move. 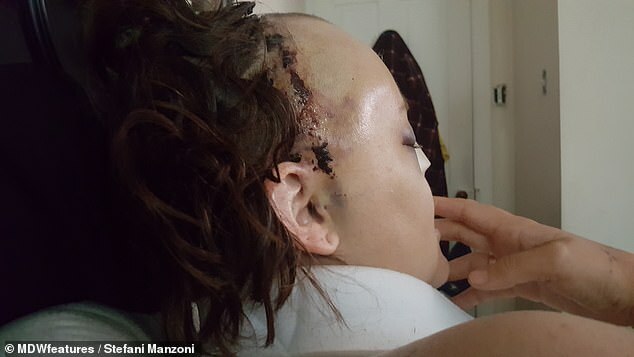 Mrs Manzoni, whose wife and parents were alongside her in hospital, had no idea about the damage to her face, until she looked at herself in a mirror. 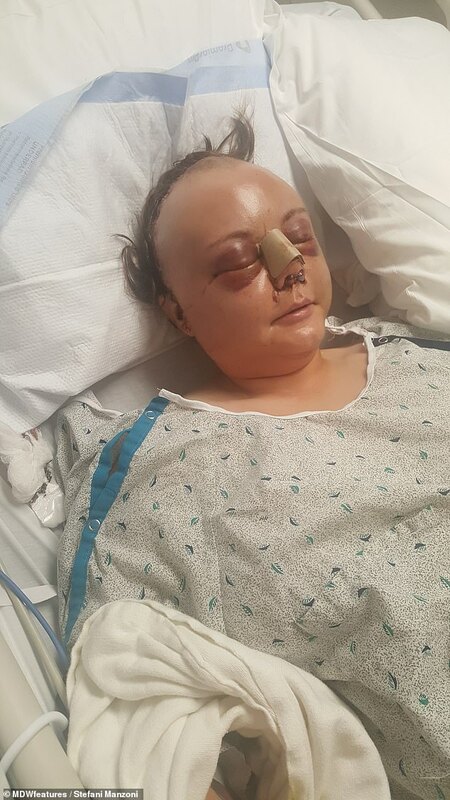 Doctors sent her home for a few days and when she got back to the hospital, she was told she needed facial reconstruction surgery. 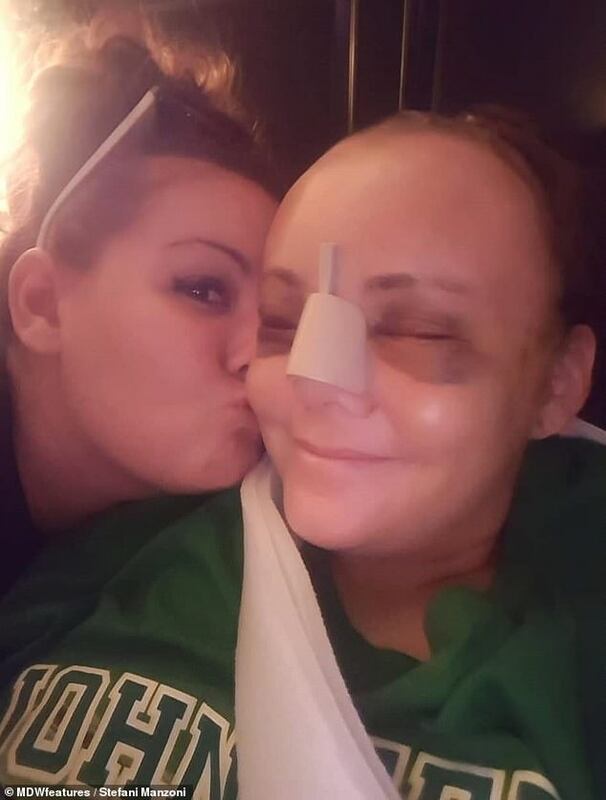 Her doctor informed her that during the accident, her nose was pushed two inches into her skull, and they had to pull off the skin on her face to return it to normal. Mrs Manzoni said: ‘Terrified isn’t even the word because they told me my nose was pushed two inches into my skull. ‘They were supposed to put three plates in my nose to help me breathe and to fix the look of it. Mrs Manzoni said she woke up yelling for help and unable to see clearly from the swelling. She has had the reconstruction surgery and a metal plate put into her broken arm and has more operations scheduled. 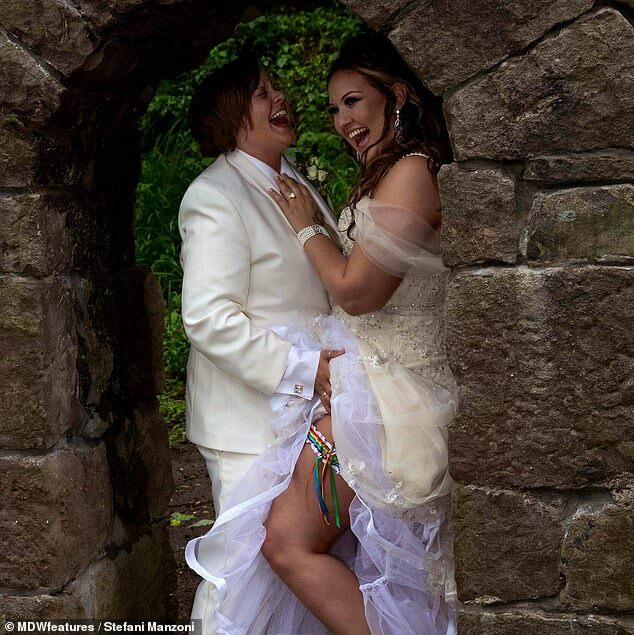 Mrs Manzoni, who married her wife Gia two months before the crash, said: ‘The accident was and is a huge adjustment. ‘I’ve been suffering from extreme depression and anxiety seeing a different face in the mirror now. It doesn’t get any easier as time goes on. Hopefully in the future I will get more of “my face” back after more surgeries. She added: ‘My wife has been incredible. 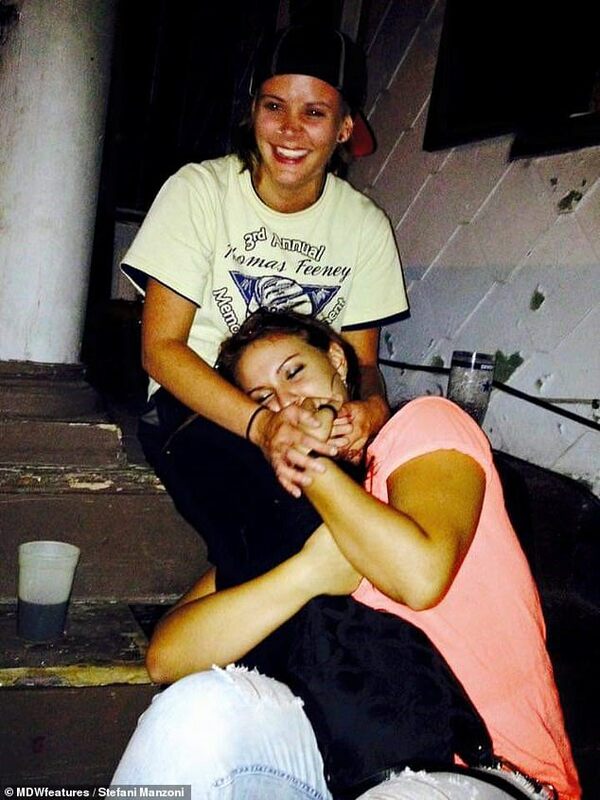 I would be lost without her. She’s been by my side through every step and always making sure I’m okay and have what I need. ‘Sometimes you have to find the positive in the hard times. I had a hard time coping with everything and kept asking ‘why me’ before I realised how lucky I really am.